Very good match. This one started off with Slater and the rest of the Outcasts taking not one, but two victory laps. Ryder fought angry and had a good advantage until the numbers game caught up to him. The match then became surprisingly competitive and engaging. This was a great start to the show and a very good match. Jerry Lawler agrees. RAW Rebound featuring Ambrose, Lesnar, and Reigns. This match was okay. I liked the competitiveness and the fact that either of them could have won, but there were some moments that hurt the match. It was a little loose at times with both women flailing a bit. There were also some awkward spots like a low dropkick from Natalya that didn’t connect but was still sold, and an awkward cover that followed right after. Clips of media covering Daniel Bryan’s retirement and his speech from RAW. This was a fun match. Sandow got the best reaction of anyone in the ring, just like at the Royal Rumble pre-show. He and Fandango had good chemistry as two guys who really didn’t work well together. Mark Henry and Darren Young just looked like they were having fun. This was a good week for main event. The matches were fun. 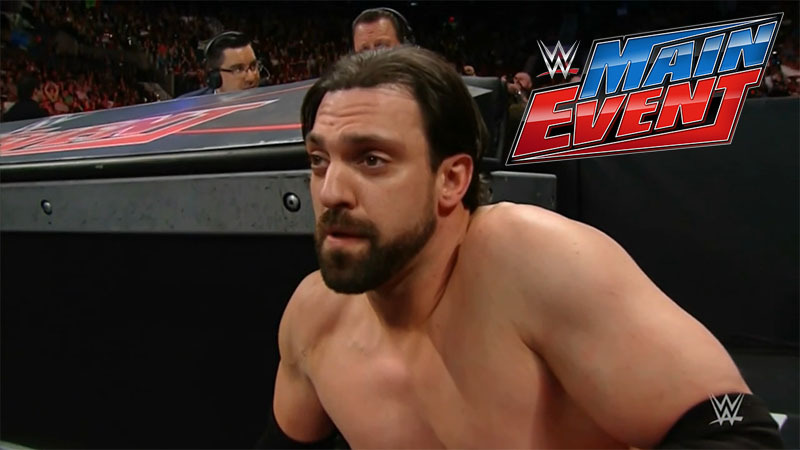 I wanted to go with Sandow’s return to Main Event, but the Slater/Ryder match was just better. It was more competitive. I’ve really been liking all of the Social Outcasts’ matches.